“Osteoporosis causes bones to become weak and brittle, making them more prone to fracture. Osteoporosis is a serious disease that can result in serious disability. 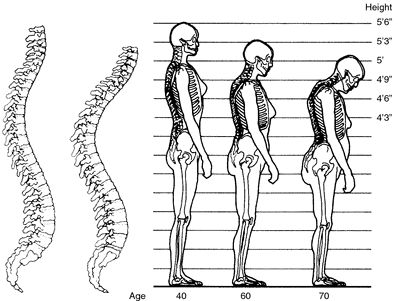 As you get older, your bones also age, losing mass, especially in women after menopause. 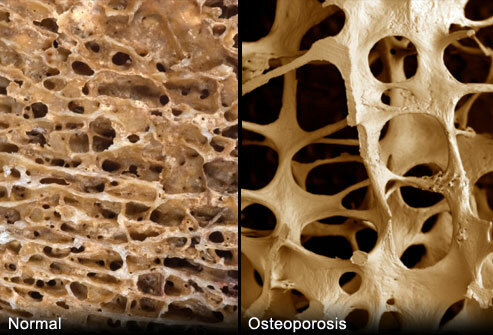 Osteoporosis can be halted, and sometimes prevented, by diet and exercise. If you have been told that your bones are weak, we can work together to prevent disease progression and protect you from breaking bones”. Osteoporosis is a disease of the bones. It is characterized by low bone mass. Bone tissue deteriorates over a long period of time, resulting in bones that are brittle and weak. Because the bones are brittle and weak, they can break easily. Osteoporosis rarely causes symptoms until the disease is well under way, earning it the nickname of “the silent thief”, because it steals bone mass without you knowing it. The spine, hip, wrist and shoulder are the bones that break most commonly in osteoporosis. If you parents suffered a hip fracture or a compression fracture of the vertebra, you may be at higher risk for osteoporosis. Loss of height may be an indication of osteoporosis. 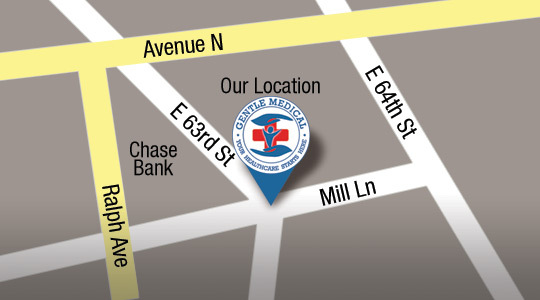 Bone densitometry is a special type of x-ray that can measure the density of bones. Usually only a few bones are checked, such as your wrist, spine and hip. With this test, the density of your bones is compared to others of the same height, weight and age. Sometimes regular x-rays will raise the suspicion that your bones are thinning, which may prompt me to order a bone density test. When you come in to see me and you are concerned about osteoporosis, I will start by asking about your past medical history and that of your family, as a family history of osteoporosis is important. I’ll ask you about medications you are taking or have taken in the past (such as steroids) that may have a bearing on the condition. I’ll ask about diet and lifestyle factors that may be of concern. I’ll measure your height to see if it has changed or remained stable. If you are a woman, I’ll determine if you are premenopausal or postmenopausal, as this may put you at higher risk. If you have back pain or have already suffered a fracture, I may want to see old x-rays, and I may order new x-rays for comparison. I will order a bone density test if needed. We can discuss your personal risk factors for osteoporosis and what you can do to decrease your risk of developing osteoporosis, or prevent it from getting worse and protect you from fractures if you already have it. Exercise, diet, supplementation with calcium and vitamin D, quitting smoking and reducing alcohol intake can all help to arrest the disease. There are medications that can be prescribed if you have osteoporosis to help slow bone loss. 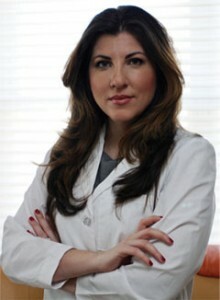 If you have or suspect you may have osteoporosis, you should come in and see me as soon as possible. The sooner we reduce your risk factors, the sooner we can stop the process of bone loss and protect you from suffering a fracture.